The Broomfield Veterans Memorial Museum seeks to preserve the memories of America’s military history, strengthen the bonds to the community by facilitating the stories of veterans as supported by displays and artifacts for the benefit and education of generations to come. A museum that celebrates and honors our veterans’ heritage and works to tell their stories. Our Museum invites you to come and view our growing collection of uniforms and memorabilia from all branches of service and all wars and conflicts from the Revolutionary War forward. 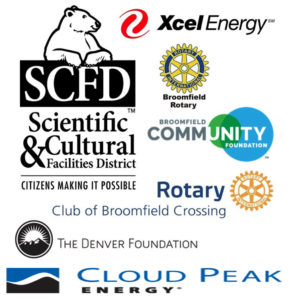 The museum location and exhibits would not have been possible without the financial and in-kind help from the City of Broomfield, the Broomfield Community Foundation, the Rotary Club, and gifts received by the many people interested in furthering our activity.